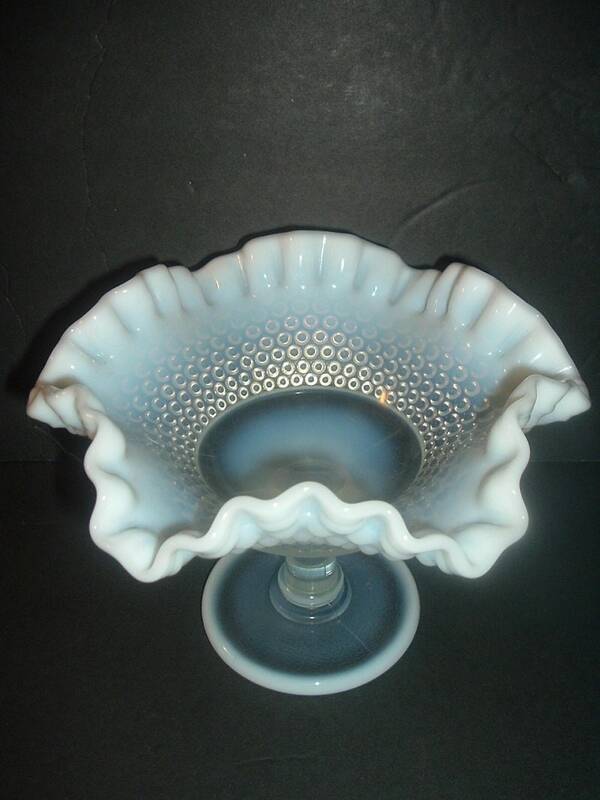 This Westmoreland glass compote measures approx. 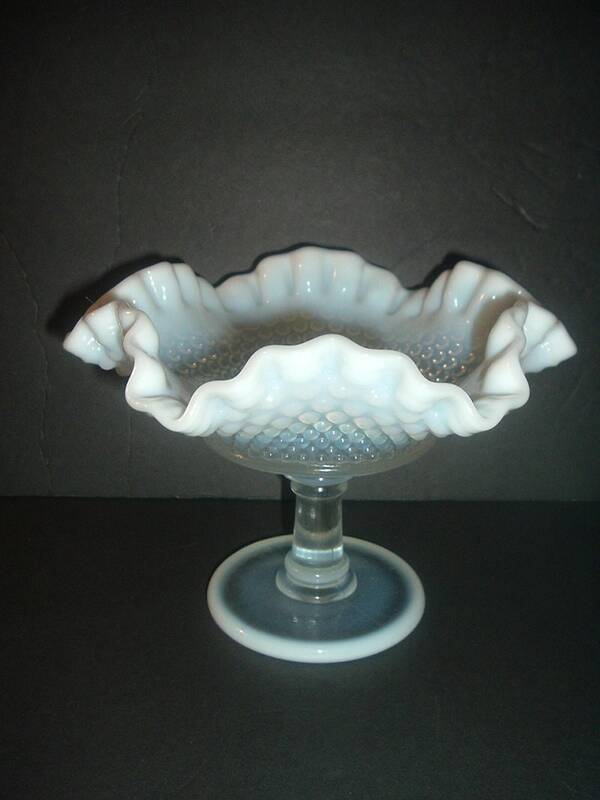 5.5"H and 7 5/8" straight across the widest point of the top rim. 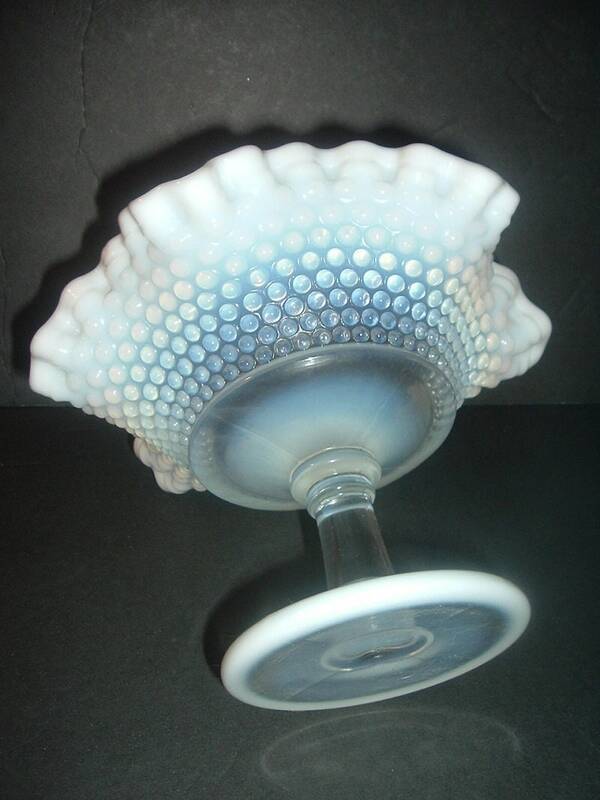 This is the American Hobnail pattern, and it It is done in white opalescent. No chips or cracks. Nice! I gladly combine shipping.